As we finish out the first week of 2017, I am reminded of a chapter in Horror Addicts Guide to Life: The Almanac. This is a very interesting and insightful part of the book that highlights important dates, holidays and festivals. My favorite is Me-Dam-Me-Phi, because personally, growing up… I believed that my ancestors were not too far from me, and wanted to be with me to guide me. I come from a VERY large family that lives far and wide. I have had the pleasure of meeting alot of my close and extended family to grow very close to. This to me, would be an important festival. Plus, a great reason to have a party! January 31st Me- Dam-Me-Phi: A festival in Assam which features offerings to departed ancestors. For more information on upcoming holidays and festivals, get a copy of Horror Addicts Guide to Life and let us know what your favorite date is in the Almanac! My story is called “Without Family Ties” and it’s about a man who sees his family line coming to end, so he uses ritual magic to try to preserve it, with unpleasant consequences. I wanted to write something with a theme similar to Pinocchio, yet having a sinister, modern flavour. I decided to research ritual dolls and fertility magic, and the results inspired my story. I’ve been writing since I could read. I won prizes for my stories in junior high and high school, so I kept at, but I’ve only been working to get published for the last six years. One of my bigger influences was Tanith Lee. I loved her Red as Blood story collection, which had horror and dark fantasy fairy tale mash-ups. I’m also a fan of a variety of mythological and traditional tales. They are the foundation of today’s speculative fiction. Horror is cathartic. It generates negative emotion – fear, anger, sadness, disgust – but when you’re done reading, you get to leave all that behind. You get the relief of knowing none of it was real and you can look at reality in a more positive light. I’ve published several dozen works, including novels, most of which are now out of print. But there are still quite a few anthologies out there with my stories in them, like the Deathlehem trilogy, Dead North and other zombie anthologies, and My Favorite Apocalypse. There are even some non-fiction collections containing articles by me, such as Horror Addicts Guide to Life. I’ve been working mostly on short fiction lately. My current work-in-progress is a horror tale called The Reluctant Collector about a debt collector who hates his job to begin with and then ends up cursed to despise it, and one of his co-workers in particular, even more. It drives him past the breaking point, and chaos ensues. Happy New Year from HorrorAddicts.net! Horroraddicts.net publishing released its third anthology called Horror Addicts Guide To Life. This book is full of articles by people who look at horror as a lifestyle and includes recipes, tips on fashion, info on your favorite books and movies, instructions for some great party games and so much more. If you live the horror lifestyle this is a great book to pick up. If you’re going to talk about what horror in 2015 you have to mention Ash Versus Evil Dead. Evil Dead is one of the most popular horror franchises there is and the new TV show based on it is a perfect mix of horror and comedy. Each episode is a reminder of how fun horror can be and what surprised me about this series was how they managed to make Ash into a deep character. In the first episode you see him as a 57-year-old teenager but as the series moves along we get more into what makes Ash who he is and you see him as much more than just a looser with a chainsaw arm. This series was much better than I thought it would be and at 30 minutes for each episode it’s the perfect length. Since we’re talking about TV shows you also have to mention Penny Dreadful. This series finished its second season and is another example of how good horror can be on the small screen. The sets are excellent, the acting is great and I think the writing is much better this season then season 1. Also its nice to see that Eva Green has been nominated for a Golden Globe. If you watch the Season 2 episode: The Nightcomers you will see why she deserves to win. 2015 saw some good horror films come out. One of the most anticipated movies of the year was Crimson Peak. With Guillermo del Toro attached to this movie, I think people had high expectations for it. I haven’t seen it yet but from what I’ve heard if you we’re expecting a bunch of jump scares and gore you wouldn’t like it, but if you like gothic romance and movies with spooky atmosphere then Crimson Peak is your kind of movie. If I wanted to mention the most popular horror film of 2015 I would have to talk about Krampus but since I talked about that recently in another blog post, I’m going to mention The Visit instead. This is a simple straight forward horror film from M. Night Shyamalan. This is a low budget movie but in all honesty the best horror films are usually low-budget. Looking towards 2016, here are some of the things that I’m looking forward to. First of all the 11th season of the Horroraddicts.net podcast will begin in the spring and horroraddicts.net publishing will release its 4th anthology called Once Upon A Scream. 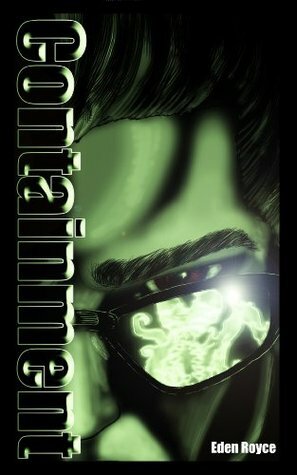 This book will be edited by horror addicts staff writer Dan Shaurette and will be guaranteed to give you nightmares. Once Upon A Scream will be an anthology of fairy tales but all with a horror twist. There are some great stories in this book and I’m really looking forward to it coming out. Another good-looking horror film coming soon is The Boy. Who doesn’t like a movie about a doll or ventriloquist dummy that comes to life, this one looks like it could be a good one. I love the house they show in the trailer. If you have a list of horror movies that you think will be big in 2016, you have to mention Pride & Prejudice & Zombies. I’m pretty sure this one will be one of the year’s biggest money makers. So I could have made this list of movies for 2016 a lot longer but I decided I didn’t want to have the trailers for sequels or remakes on here but there are a lot coming out, including: Rings, Underworld: Next Generation, The Conjuring 2, Amityville: The Awakening and another reboot of Friday The 13th. The last movie I wanted to mention here is The Witch. Witches have been pretty big in horror for the last 4 years and it looks like that trend will continue in 2016. So horror addicts what are you looking forward to in 2016? What movies do you want to see? What books do you plan on reading? What conventions are you excited about? Leave a comment and let us know. My response was: “A TV and I sat down and watched Bugs Bunny.” My mother still has the newspaper clipping somewhere. I’ve taken several breaks from writing since then, but I’ve been (sort of) consistently writing since 2007. What subjects do you like to write about? I love writing Gothic horror and dark fantasy, most especially about the magic systems of indigenous peoples. My roots are in Southern conjure and that pops up often in my work. I’ve realized recently that a lot of my work falls into the category of magic realism, where everyday events and situations exist alongside magic and aren’t considered by the characters to be out of the ordinary. You’ll also find demons and devils featuring prominently in my stories as well, and not always as the villain. I write the occasional historical piece as well. I like to change and mix genres, especially when I’m feeling stuck on a story or disenchanted with writing. (It happens…) So I’ve also written steampunk, literary fiction, poetry, and romance, all with varying amounts of success. The women in my family—some of them hoodoo conjure practitioners, some of them teachers and Renaissance women—have influenced me the most. I feel their stories need a voice. As far as other writers, I find myself re-reading Poe and Du Maurier for all of the creepy disturbia. Modern authors I love include Jewell Parker Rhodes, Margaret Atwood, and Terri Windling. I also love mythology and epics, so I have to add Aesop and Homer and Virgil. I find it fascinating that horror has some of the staunchest fans in fiction. A genre dedicated to unnerving and terrifying the reader seems to grow every year even though security and safety are otherwise a priority for most people. Maybe reading and watching horror creates and atmosphere of a controllable fear, so it can be processed as excitement or intensity. Horror is such a primal emotion. Everyone experiences it in one form or another. It crosses age, race, culture, gender to become something that unites us. I also find horror is a genre that lends itself well to fusion: horror/comedy, sci-fi horror, horrotica…all of these blend terror with strong, established genres and increase its chilling reach. My theme today is Southern Gothic horror. Southern Gothic horror stories use the macabre, and the grotesque, to explore the ideals and the social issues of the American South—with all of its flaws and imperfections intact—while keeping the creepy, unsettling characteristics of Gothic fiction: fear, horror, madness and death. It also employs magical realism, where magical elements and events occur in otherwise ordinary and realistic situations. There are many great works of Southern Gothic literature, but few of them include people of color as strong point of view characters—even fewer in the horror genre—and I wanted Spook Lights to do that. My great-aunt was a local rootworker and one of my fondest memories is sitting at the dining room table listening to her stories. Even after my move to England last year, these stories have stayed with me. So, I’m sharing with you an excerpt from my Southern Gothic horror short story collection, Spook Lights. Pull up a rocking chair and sit a spell. 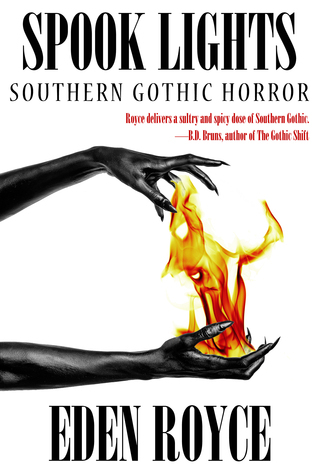 Soak in these tales of Southern Gothic horror: A woman’s search for her mother drags her into the binding embrace of a monster, A witch doctor’s niece tells him a life-altering secret, an investigator who keeps a 100% confession rate…. These are stories where the setting itself becomes a character-fog laced cemeteries, sulfur rich marshes-housing creatures that defy understanding and where the grotesque and macabre are celebrated. The true horror is in what you can’t see…until it’s sitting right next to you. Eden Royce is descended from women who practiced root, a type of conjure magic in her native Charleston, South Carolina. She currently lives in Kent, The Garden of England. 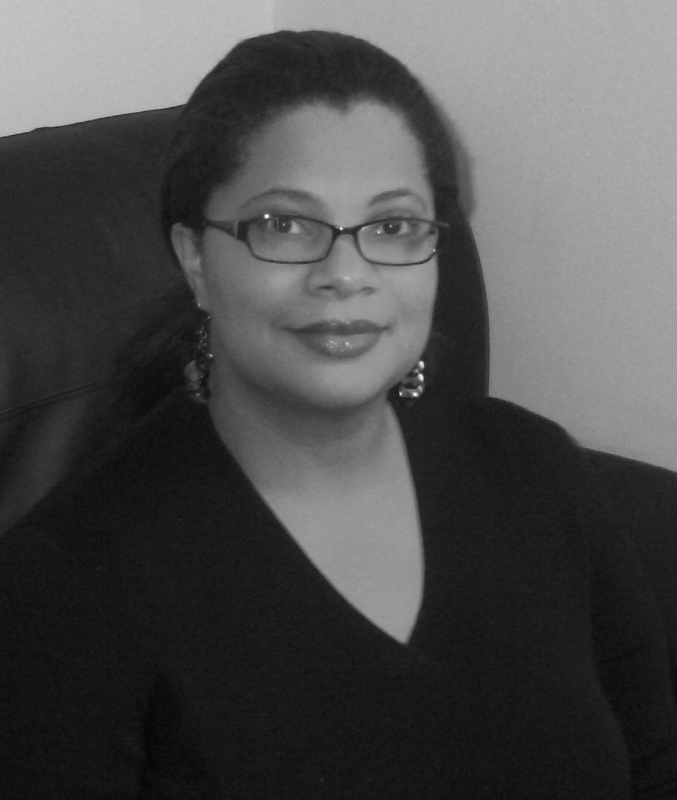 Eden is a writer for The 7 Magpies project: a short horror film anthology written and directed entirely by black women. She reviews books for Hellnotes, and writes a regular feature for Graveyard Shift Sisters, where she interviews black female authors and reviews their work. When she’s not writing, she’s watching quiz shows, or perfecting her signature dish for Masterchef. More about Eden’s brand of horror is on her website: edenroyce.com. What do you like about the horror genre? The versatility. I can write about romance or anything within horror because it supports the theme. I think I haven’t even scratched the surface of all there is in horror because “horror” can be in so many forms. What are some of your favorite horror movies, books or TV shows? I am a Richard Laymon fan. I like Ira Levin and Stephen King as well but too many to name. In what way do you live the horror lifestyle? In my house, discussions about cannibals is normal. A ‘relaxing” show is found on crime t.v. We embrace my persona and everything is “She’s a horror writer” as if that is a reason for anything at all. Spilled milk? Blame the need for a particular horror scene and call in inspiration. I finished some nasty monsters and a Gothic horror novel and am working on a few projects that cover themes such as cannibals (always! ), the Donner party with a friend, D.A. Roberts, monsters in a cave, and an apoc-book. I generally write (begin) 3-4 at a time and then focus on one until it is finished.